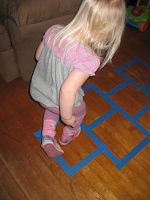 C had to dot over the letter A's along a path using our dot markers. I told her the lower case "a" (which was first) had to find the upper case "A" at the end. 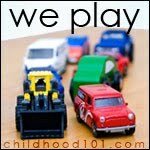 Idea similar to this idea at A Mommy's Adventure, which C also did. I also printed out the letters of her name multiple times, upper and lower case, randomly on a piece of paper. 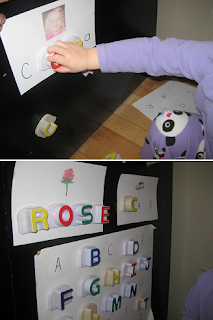 Then she had to follow my directions "Mark the letter "C's" green" and "Mark the letter "o's" yellow", etc. 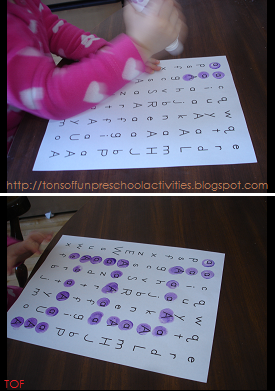 **Updated 11.12.12 ~ if you are looking to do a similar activity, check out Little Miss Glamour Goes to Kindergarten, she created a free printable that includes all letters. I also made some word charts. This idea is from Camp Slop. I also made these block puzzles for C, idea from Activity Mom. I used 1 inch foam blocks I found at Goodwill. I found these on Amazon, but they are pretty pricey. 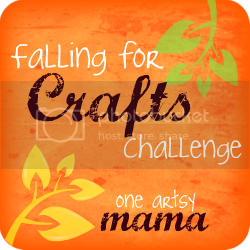 You could make this activity to fit what you have on hand. And that's about it, my mom visited us Wed-Fri, so we took a few days off. Love the block puzzles! I hadn't seen those before! Postmarking for future use! Yay! 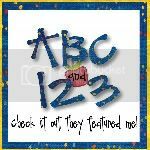 Did you make the alphabet pages yourself? I did make the ABC pages. I tried to share the "A Path" one, but at the time I was getting errors with 4shared, so I gave up. For the magnet chart, I just traced the letters and wrote the letter inside the shape. For the ones with pictures, I just found a picture on google images and printed it out and then traced the magnets. 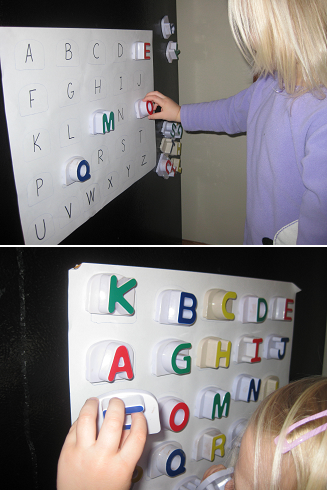 Great idea to use with the fridge letters! Thanks for sharing! Wow, I love every single activity that you did, thanks for all the inspiration! Where did you get the little blocks from? 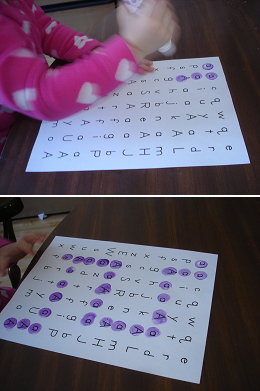 Wow, thats great she can recognize so many letters already! I like the magnets and matching up the letters. In fact we just tried it. Now I know I have a lot of work to do! What great ideas! I need to get the bingo dabber... I think my daughter would LOVE that project. Awesome!! 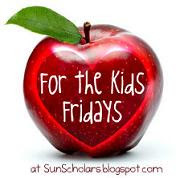 Thanks so much for sharing this at For the Kids Friday! I appreciate you stopping by! 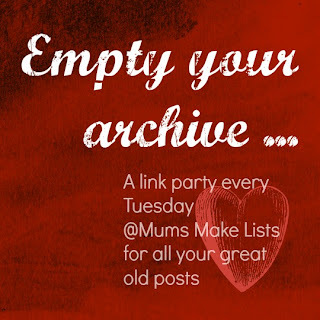 I'll be posting this week's party soon. 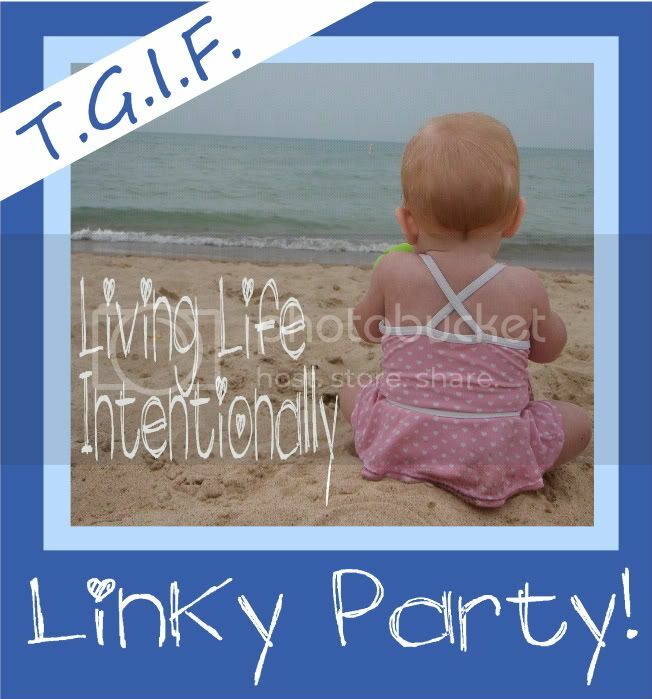 I hope to have you back for the next party! So glad that you enjoyed the alphabet hunt!!! LOVE THIS! 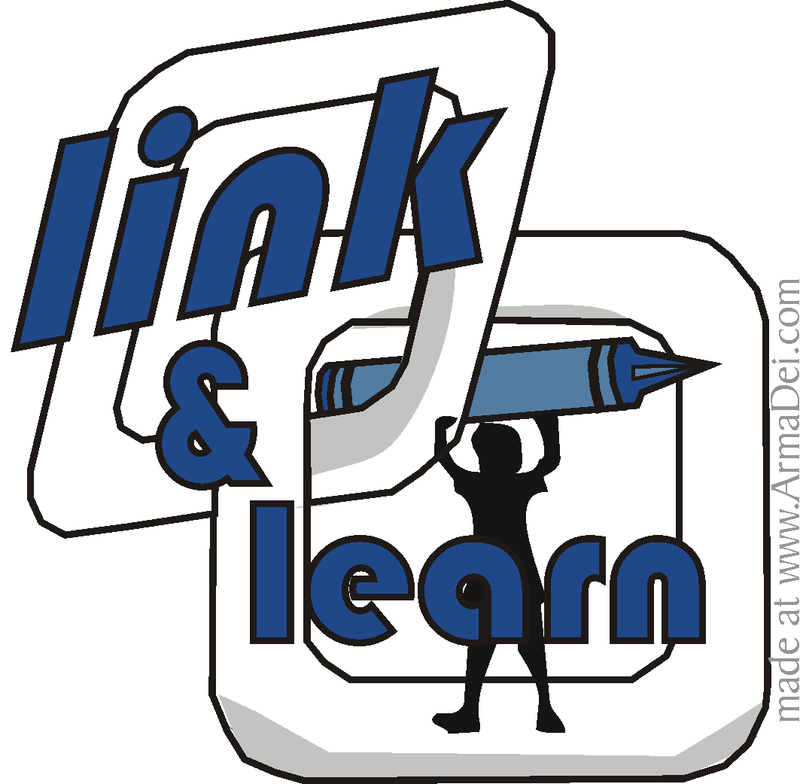 I would LOVE for you to stop over and link up this post in my new weekly Homeschooling on the Cheap link up. It is weekly, goes up on Thursday and stays up for the week. I'm curious where you got the purple blocks too. The purple blocks are from a multicolored set of 1 inch foam blocks I found at Goodwill a few years ago. 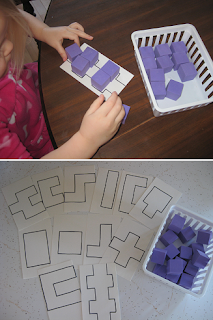 I used just the purple blocks that time because it was C's favorite color. Hi, I just found this article posted on Pinterest. 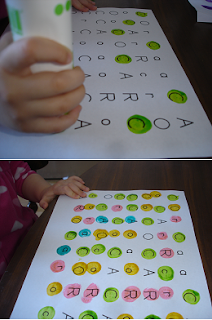 I was wondering, for the first photo where you asked C to dot over letters in corresponding colors, did you find this helped her learn the alphabet? Or did it help with learning anything else? What happened afterward when she stopped using colors (I'm assuming 1+ yr later, she no longer needing colors for every single letter to read but maybe it's still helpful :) ). 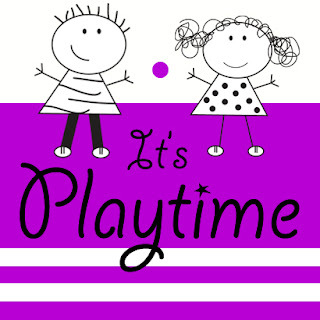 Love the activities! Look forward to seeing more. 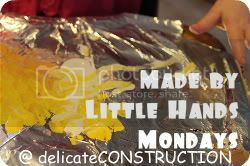 thank you so much for sharing-what a great activity! Thank you so much for sharing the letter path pages! They are so perfect.